My latest Wine of the Week is going to focus on the three very old and special Tokaji Aszús that Charlie and I tasted while we were in Budapest a couple of weeks ago. 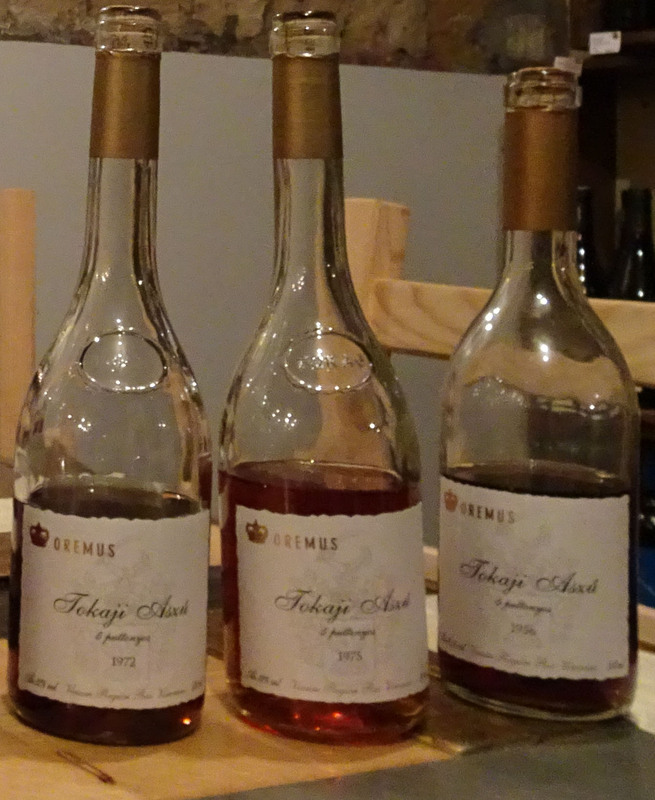 While we tasted 8 Tokaji Aszús that particular evening, and all were exceptional sweet wines, the oldest we tasted were the 1972, 1975 and 1956 Aszús. While the 1956 is not the oldest wine Charlie and I have ever tasted (that distinction belongs to a 1952 Dalva Golden White Port), the rarity of an outstanding Aszú during this period of time in Hungary’s past, makes this wine very special. These Aszús were all from Oremus, and all were 5 puttonyos. (To read a full description of how an Aszú is made, and what 5 puttonyos means, click here).